Abergavenny our local town is the home of Welsh road cycling and a favoured road cycle venue. Numerous routes radiate from the barn , from short circuits to 100 mile style 'sportifs '. 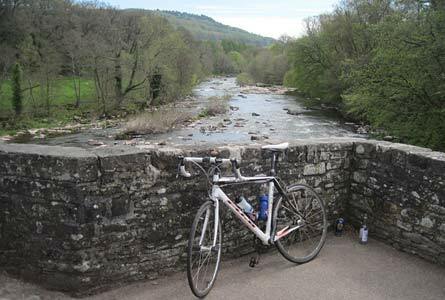 The river Usk valley and Golden Valley offer relatively flat riding , whilst the mountains offer classics such as the Gospel Pass over the Black Mountains. The popular 'tumble hill climb' up Blorange mountain often features in national road races and opens the way for a roller coaster tour of the Brecon Beacons national park. Or head east through the rolling hills to the Wye valley and the market towns of Ross , Hay on Wye and Monmouth. We also have a fun 20 Km circuit from Dukes Barn through the country lanes , taking in a cafe and two pubs! Plenty of cafe stop options and route maps mean we can help you plan or even informally guide you on rides. Abergavenny is also home of the Welsh road race festival in June and the region has numerous cycle events through the spring and summer on most weekends. Can I hire a road bike? Do I need a car for road bike riding? Can I store and service my bike? Are there any road cycle events locally? We recommend you bring your own bike as options for quality road bike hire is limited in the area. Yes Gateway cycles in Abergavenny can service and supply spares for road bikes. Once you are at Dukes Barn there are plenty of rides from the front door so transport is not needed. Yes we have a cycle store and basic tools and bike wash facilities. Yes, the region has numerous cycle events. The Abergavenny Iron Mountain Sportif event takes place in June each year often combined with a festival of cycling running throughout the weekend in the town. The famous Dragon Ride L'Etape Wales with 4 different distances starts in Port Talbot less than 1 hour away is held in June each year. The longest at 305km and nearly 5,000 meters of ascent is one of the toughest sportifs in the UK and a sell out each year! 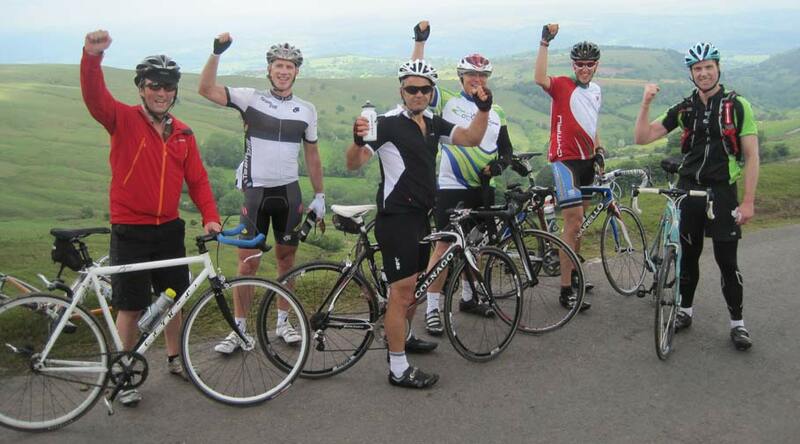 Other sportifs are held in the counties of Powys, Herefordshire and Gwent. All in easy reach. You can of course ride these courses outside of the events, we have the routes and can advise on logistics.